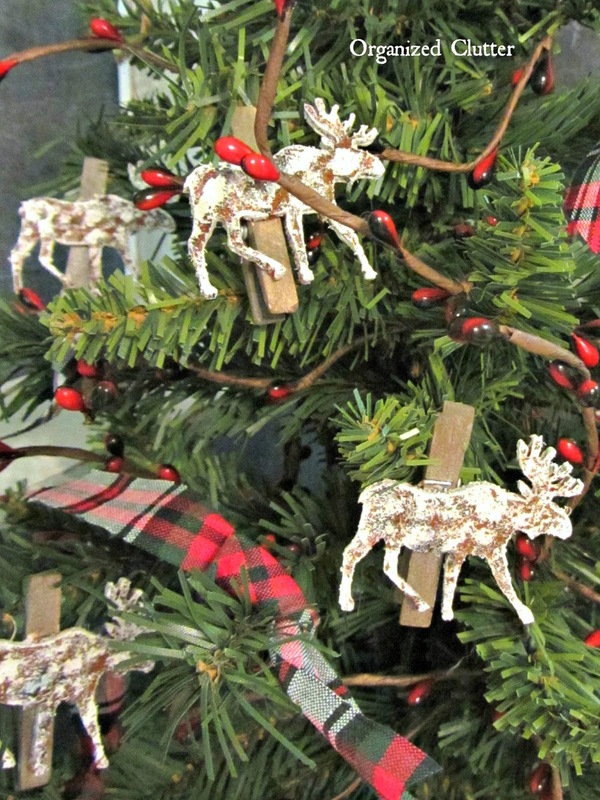 While browsing through Christmas decor at Menard's last week, I spotted these red felt clothespin moose ornaments for $2.99. I immediately thought of Becky's faux rust technique at Beyond the Picket Fence. So first I taped off the clothespin ends with masking tape. I stippled on black paint. I stippled on gray and orange acrylic craft paint too. Then I sprinkled them with cinnamon and worked it in with a small art brush. And stippled on white paint in spots to the moose fronts. After removing the masking tape, I stained the clothespins with a vinegar and steel wool stain recipe I found on Pinterest. I keep this stain in a glass jar at all times. It's perfect for touching up any new wood or recently sawed ends on barn wood. 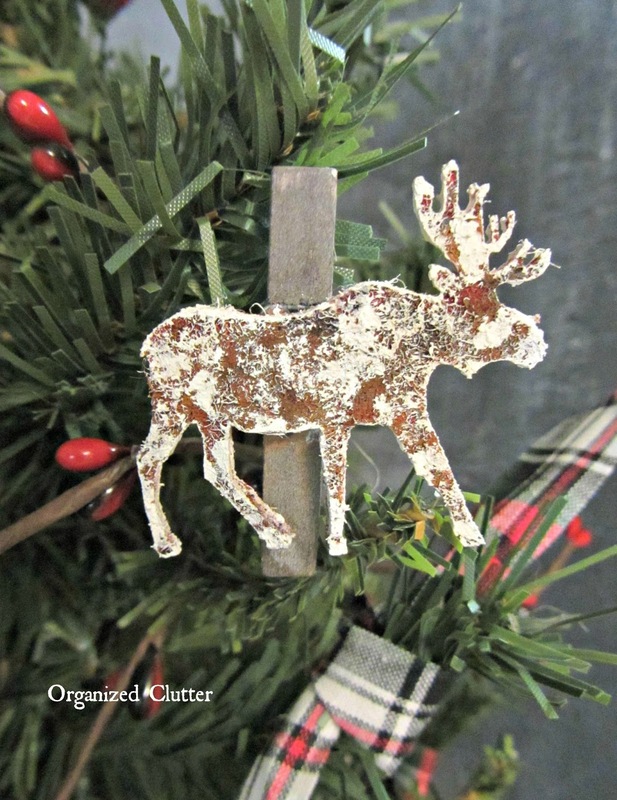 There you have it, faux rusted metal, rustic moose ornaments. Since I live "Up North", these moose ornaments are perfect! I also gave this $3 thrift shop ceramic deer the faux rust treatment. I sprayed the deer figurine and the felt ornaments with a clear matte sealer. I just love this technique. Thanks, Becky! They turned out great--love them! Were your fingers a mess? Mine sure were! That's so cute! Great idea! These look awesome, Carlene...thanks for sharing! What a transformation Carlene! This technique really is amazing. You did a fabulous job. I agree, the moose is perfect for you! I'm on the search for vintage deer. Have a few, but would like to add more to my collection. Beautiful Carlene, the deer is my favorite. 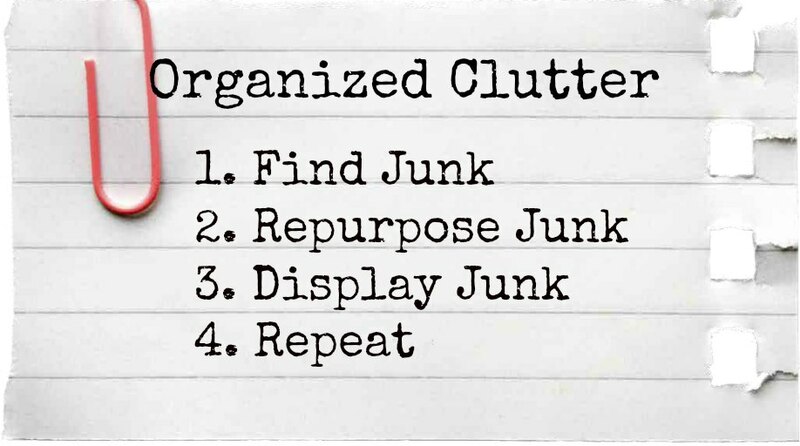 I don't like throwing anything away if I can think of some way to reuse it. Thanks for sharing......love how everything turned out! Definitely going to try this. Wow, I am impressed! Great job and they look so much better than before! They sure look a lot better after you worked your magic. Great idea and so cute! They look wonderful, I'm going to give this a try. What is the steel wool and vinegar stain recipe?? Every year I do a rustic outdoorsy tree, these would be so cute on that tree. Thank you so much for sharing. 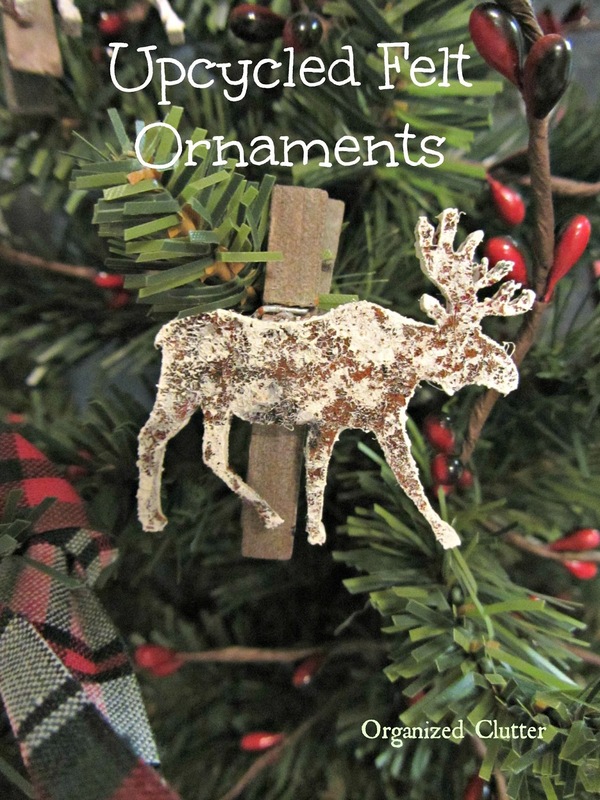 These ornaments are beautiful, I love, love, love them they would be perfect on the outdoorsy tree I do every year. How do you make the vinegar, steel wool stain?? Thank you so much for sharing, you are so much help to me since I'm not real crafty, artsy yes, somewhat.